Many students these days wish to be games programmers. 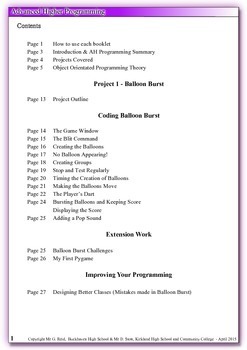 This booklet is the first in a series of four that teaches students the tool and techniques of object orientated programming required to become a beginner games programmer. 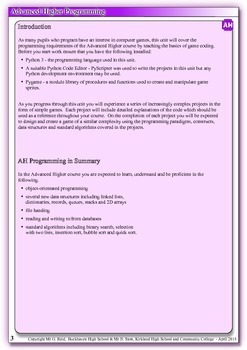 This could be your first step to becoming a games programmer! 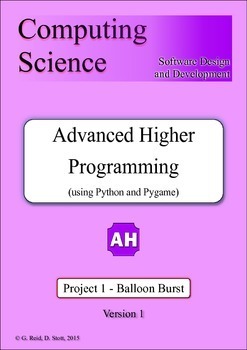 This booklet was co-written with my colleague David Stott for the Scottish Advanced Higher Computer Science course but could be used as part of any advanced programming course or games programming club. Project 2 is also available.